Choose your ATS UV Bulb depending on the length and pin type. Links to other UV parts like sleeves, ballasts, etc. are are the bottom of the page. We also offer ATS Service Kits which include a new bulb, quartz sleeve and o-rings -- at a savings compared to buying the components individually. 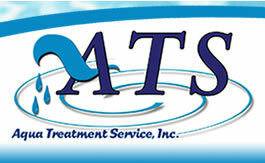 We also offer new ATS UV Water or Air Purification UV Systems. ATS UV Bulb 14 in. *185NM. Bulb length is from end to end, excluding pin connections. ATS UV Bulb 27.3 in. ATS UV Bulb 33.2 in. ATS UV Bulb 45.88 in. ATS UV Bulb 61.2 in. ATS UV Bulb 13 in. ATS UV Bulb 17 in. ATS UV Bulb 18 in. ATS UV Bulb 31.34 in. ATS UV Bulb 10-1/2 in. ATS UV Bulb 11.3 in. ATS UV Bulb 14-1/2 in. ATS UV Bulb 16 in. ATS UV Bulb 17.71 in. ATS UV Bulb 29 in. ATS UV Bulb 32 in. Misc. UV Parts - Ballasts, control boards, etc.